Josephine is currently a Strategic Planning Specialist with the Region of Peel. Prior to joining the Region in 2002, she worked for the University of Toronto Library Automation Systems, the former Toronto Board of Education, and the Toronto District School Board in various capacities. She has extensive experiences in working with senior management, office supervision, communication and promotional materials management, community engagement, special events and project management. Josephine is an active member of the Chinese community. Currently, she is Chair of the Chinese Advisory Council of United Way of Peel Region; Vice-Chair, Membership of the Mississauga Board of Chinese Professionals and Business; Immediate Past Chair of the Peel Chinese Community Service Hub; and Immediate Past Co-Chair of the Peel Chinese Inter Agency Network. Dominic Chan first immigrated to the GTA area Canada with his family in 1973. His education and career has spanned in both Hong Kong and Canada which has provided him with unique global perspective. Dominic is currently the Vice President of Operations for D-Link Canada with a diversified career including textiles, electronics, manufacturing, import/export, distribution, supply chain, IT system & infrastructure. Judy Yeung came to Canada in 1975 as a visa student. Graduated from U of T with BA, Judy has worked for a Jewish family for 13 years before joining Bell in 1994. She is now serving at Bell as a Call Centre Sales Manager at the Toronto Call Centre. She manages a team of Chinese Representatives and a team of English Representatives. She also volunteers with Bell’s Community Affairs as a Bell Ambassador. In terms of community involvement: Judy is Executive Vice-Chair of Mississauga Board of Chinese Professionals and Businesses, a Board of Director with Toronto ALPHA and a fundraiser for the Yee Hong Community and Wellness Foundation. Highlights of her volunteer work included organizing a number of telethons to provide reliefs for overseas natural disasters. Her kindness and compassion towards mankind is not limited to the people at home! Judy was among the six recipients of the Asian Business Network Association’s 2011 Chinese Canadian Legion Award. Shirley Cheng is a professional public health practitioner and holds a master degree of Public Health from a prestigious Canadian university. She has over 20 years of experiences working in government public health departments both in Canada and China. She has profound understanding and extensive knowledge about the Canadian and Chinese healthcare systems, their deliveries and services. Her expertise is chronic disease management, infectious disease control and special needs children family education. Shirley provides counseling and support services with a focus to the Chinese community and runs seminars for community on how to access healthcare in Mandarin and Cantonese. She obtained the Certificate of professional English-Chinese translation from the University of Toronto. Currently she is a board of director of International Association of Medical Assistance for Travelers (IAMAT) and a Chinese Advisory Council member of United Way Peel Region. She can be reached at Tel: 416-706-1128 or email her at Shirley.cheng@publichealthgroup.ca. Donghui (Ricky) Yang, who started the concept of Pronunciation Martial Arts in 2005, is a member of Canadian Association of Applied Linguistics. In late 2009, in order to bring his Pronunciation Martial Arts to academic attention, he submitted Call for Paper for Congress 2010 in conjunction of Canadian Association of Applied Linguistics. He was selected to present his study on June 3rd, 2010 at Concordia University in Montreal. We believe the information provided promises an interesting presentation on this new concept being proposed and demonstrated. It might potentially contribute to the larger picture. This was the feedback to the Call for Paper abstract from the committee board. To check the abstract, please click here and go on page 54 for “Articulatory settings and articulation muscle contraction differences between English and Mandarin“. As a board member of M-Bridge, Ricky has been helping our members in English pronunciation since 2008. An advisor for M-Bridge, Nelly Gong is one of the top agents at State Farm Insurance Companies.She worked as recruiter in Toronto in 1998 before she moved into Mississauga.Ms Gong was figured by Toronto Star on April 18, 2009 as a successful new immigrant.Ms. Gong volunteers herself for the local Chinese community and main stream business. She served as a board member for United Way of Peel Region from 2002 to 2005. She co-chaired the Chinese Advisory Council at United Way of Peel Region for two years. She has been the Parents Council Member at Credit Valley Public School since 2005, served on the Ambassador Committee at Mississauga Trade of Board and. She is a member at Mississauga Chinese Professionals and Businesses. Ms. Gong was the President of the Mississauga Mandarin Association during 2002 to 2004. She received Mayor’s Award in May 2009 for her Contribution to the Community from the City of Mississauga. She was invited to be the facilitator at Mississauga Mayor’s Job Summit in 2010.Ms. Gong graduated from University of Maryland in USA, with her second Master Degree in Science. She was a university instructor at People’s University of China in Beijing before she left for her Ph.D program in USA in 1993. She also had the diploma as News Reporter from China Daily. An advisor for M-Bridge, Peter McCann of McCann Corporate Consulting Associates is a management consultant, Turnaround CEO, author of two books, corporate director and visiting professor internationally.He established his consulting firm in 1989 to assist companies and not-for-profit organizations under-performing to the expectations of their executives, shareholders, lenders and stakeholders. He has worked in seven Canadian provinces, four Canadian First Nations, two US states, and overseas. His clients have included a wide variety of small and medium sized businesses, not-for-profit organizations, shareholders and lenders.He was CEO of a turnaround company in the chemical distribution industry and has served on several boards of directors of privately held companies.He is the author of articles, business cases and two books: Strategy & Business Planning of Privately Held Companies and, with contributors, Turnarounds: Brains, Guts & Stamina. Both are available through Books For Business in Toronto, Amazon.com and from Trafford.com. He has been a visiting professor in Kazakhstan and Azerbaijan, a guest speaker in Canada and advised in Russia, Finland and Germany. In May 2010 he is scheduled to lecture for six weeks at Bir Zeit University, in Israel- Palestine. He holds a Dipl. A.A. (Business) from Algonquin College, a MBA from the Ivey School of Business, University of Western Ontario, and a ICD.D. from the Institute of Corporate Directors. http://www.mccaconsultants.com/ . An advisor for M-Bridge, Ms. Wai brings to her small business and Not-For-Profit clients international experience in investing, owning and managing small businesses and working in the Not-For-Profit sector. Ms. Virginia Wai was born and raised in Hong Kong. At 18 years old, she was admitted to The Lister Hospital School of Nursing, Stevenage, Hertfordshire. England, where she earned a State Registered Nurse accreditation, followed by The North Hertfordshire School of Midwifery, where she earned a State Certified Midwife accreditation. Subsequently she earned a BSc in Occupational Health & Safety at The Aston University in Birmingham, England. Later she earned a BA in accounting at Luton University, England. Over the course of her business career she has invested in real estate in London and rural England, the French Loire Valley and Riviera and Canada. She established small businesses in Papua New Guinea, the French Riviera, London, England and Toronto, Canada. Her volunteer and Not-For-Profit experience includes The Barbican Center, The British Museum, The Western Eye Hospital, London, England; Dreams Inc and Chapter 21, volunteer organizations serving developmentally challenged adults in Markham Ontario and The Yee Hong Center, a large home for retired elderly. An advisor for M-Bridge. 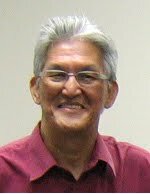 Mr. Victor Ting-A-Kee CPVA CPBA DTM, is an accomplished speaker, facilitator, personal coach and consultant to the non-profit sector. Managing Partner of GUI International, a Company of Absolutely Audacious Achievers, Victor engages audiences with passion, energy and enthusiasm. His forte is Personal Development and Entrepreneurship. He provides easily mastered techniques to identify your unique qualities, how to leverage your strengths for superior performance, and how to adapt your communication styles to quickly build rapport and be more effective in dealing with other people. Victor’s guiding mantra is “Being true to yourself achieves your highest purpose”. Lynn Woodman is a leading voice, speech and presentation coach and creator of The VoicePower Advantage which helps people ‘find their voice’ in order to develop a powerful presence.Woodman has had a rich and varied 30-year-career working as a professional actor, performer, teacher and facilitator. She has worked with business professionals, entrepreneurs, professional speakers, performing artists, actors, new Canadians, and students, leading and facilitating workshops as well as one on one coaching. She has appeared as a guest instructor at dozens of learning institutions. Among them are George Brown College, The University of Toronto, York University, University of Guelph, University of Waterloo, Humber college, Havergal College, Upper Cananada College, the Canadian Speech Communication Association, Soul Pepper Youth Mentorship Program and the Toronto School of Theology.She created Speak Up, Speak Out, Be Heard rated among the Top Ten most interesting continuing education courses by Toronto Living Magazine. www.voicepower.ca . President of Bestlife Motivation An advisor for M-Bridge, Patrick is a graduate of the University of Burundi English program. He has extensive experience in community support and media services. His expertise in media and public relations has aided him in providing support to the community in the areas of job search, housing, and training and development. As an active member of his community, Patrick produces inspiring radio programs that have helped to encourage and develop successful individuals and business owners. Patrick has been working as a speaker for United Way Toronto and Volunteer Toronto. As a Master of Ceremonies, he has hosted events for Toronto Green community and various Black History Month events. He has also served as a keynote speaker for Ecoambassadeurs du Monde and Aangen Community Centre. One of his most successful endeavours to date is the radio program “Personal Legend”, which he both produces and hosts. For the last year he has been the President of Bestlife Motivation Inc. as well as maintaining a weekly blog called “The Journeyman Stories” in which he shares his inspiring stories http://www.journeymanstories.blogspot.com/. Networking Guru Bonnie Chan has a network that spans the nation. She was born in Calgary, raised in Vancouver, and since settled in Toronto. The daughter of Chinese immigrants, Bonnie brings a unique blend of Chinese heritage and Canadian culture her business practice.In 2009, Bonnie launched Bon Connections to capitalize on her greatest skill– her ability to bring people together.Bon Connections specializes in training immigrants how to expand their networks in Canada. She offers a variety of services from interactive and practical workshops to one on one coaching. Bonnie works to tailor her program to meet individual needs and ensures that her clients not only gain access to better job opportunities, but learn strategies to enhance their social circles and support networks here in Canada.Bonnie has trained people from a variety of backgrounds, races and ages to harness their skills and achieve success in all of their pursuits whether business or personal. She has an eye for talent and a unique ability to empower people to achieve their career goals and ambitions no matter what the industry may be. http://bonconnections.com/ . Documentary film maker, actor and acting coach Vladimir Bondarenko is a Gemini-nominated, award-winning documentary film maker, professional actor, writer, producer, director, acting coach, ESL teacher and grief support group facilitator and counsellor. His theatre background includes performing support and leading roles at the Stratford Shakespearean Festival, Theatre London and Theatre Aquarius. Television credits are highlighted by appearances in the Emmy award-winning “F.D.R.’s Last Year”; “Night Heat”, “Street Legal” and “Due South”. His most recent movie credits include principal roles in the acclaimed docudrama “Catching the Chameleon”, the sci-fi horror thriller “Kaw” and the soon to be released theatrical feature film “Small Town Murder Scenes”. His internationally acclaimed documentary films include “Speaking of Courage” and “Voices to Remember”, which tell the stories of children and adults who live with a stutter and “Vigil of Hope”, which portrays the mystery and complicated grief experienced by the families and friends of six teenage boys who perished on Lake Ontario.Most recently, he is the creator and co-presenter of “Breaking Out Of Your Shell”, an interactive workshop for youth and adults, focusing on overcoming public speaking fears, improving spoken English and vocabulary, developing confidence, liberating spontaneity and imagination, releasing creativity, humour and hidden passion through the powerful arts of storytelling, role playing and improvisation. Frank’s marketing and sales career started in 1995 at Burson-Marsteller, the world’s largest public relations firm, where he delivered numerous projects for high-technology clients as IBM, Motorola and AT&T. Expanding his horizon to advertising, Frank joined Ogilvy & Mather, one of the world’s top advertising agencies, as Account Manager of IBM team, developing and implementing advertising campaigns for IBM’s fastest growing business divisions in China.In 2007, after three years of managing marketing programs at Enbridge Gas Distribution and two years of founding his own consulting business, Frank joined Cyberplex, an online solution provider serving enterprise customers, and became a top salesman of the company’s web development division.In 2010, Frank joined Getbacklinks as a key partner in charge of business development, promoting Pay-For-Performance online marketing services, such as Guaranteed SEO (search engine optimization) to established businesses in North America. Frank has extensive experiences in advertising, public relations, online marketing and brand management. Business Consultant Amar Kumar is a Business Consultant for Effensource Global Services. He run Networking Events and 1-on-1 Consultations to help people get over the intimidation of starting and running their own business. Paul is a firm believer that when we become active participants in our very own lives, and not mere bystanders watching life go by, we will begin to find our purpose and our reason for living.As a graduate of George Brown College and York University in Business and Society, Paul has gone on to have over thirteen years experience in Client Relationship Management which he considers an essential requirement to the ongoing success of companies and organizations. He says that “The true purpose of a business is not to sell a product or service but to sell an experience of which the product/service is only one component.”Seven years ago, after leaving his job at the current time, Paul decided that he wanted to start his own business with a vision of helping people to achieve their dreams. He believed that this was the secret to his future success and ultimately towards achieving his own dreams.It was in December 2008, that Paul and two other friends started their own business called Bestlife Motivation. The company’s vision is to inspire the global community to act on its dreams in order to create a collective and positive energy that would impact lives daily.